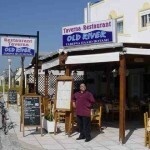 Josef and his staff welcome you at Old River, the place where friends meet. 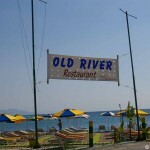 Old River is a real family-business where mother is running the kitchen. 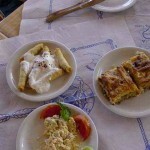 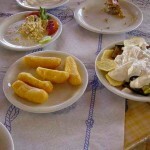 Beside the well known Greek courses, they also have vegetarian pies and plates with different kind of cheese. 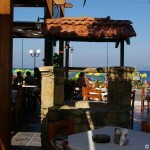 At the terrace you have a view over the sea and their own Old River Beach. 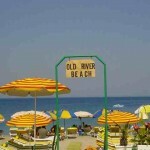 If you come here in the morning for breakfast, in the midday for lunch or in the evening for dinner: it is always busy at Old River. 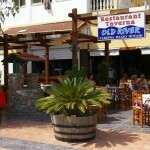 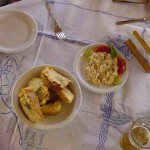 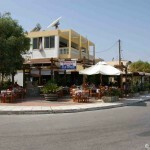 Old River is also a perfect restaurant to have traditional Greek and Turkish mezedes. 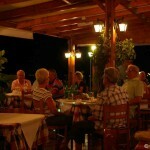 When visiting the restaurant Josef would appreciate if you mention you know his restaurant by internet.